The 2014 ATP World Tour launched today in style not just in Chennai and Brisbane, but in Doha too, where there is a stellar line-up this year featuring Nadal, Ferrer and Murray! The opening day of the season wouldn’t be complete without the first upset of the year and it was the unfortunate 4th seed Tomas Berdych who fell victim. 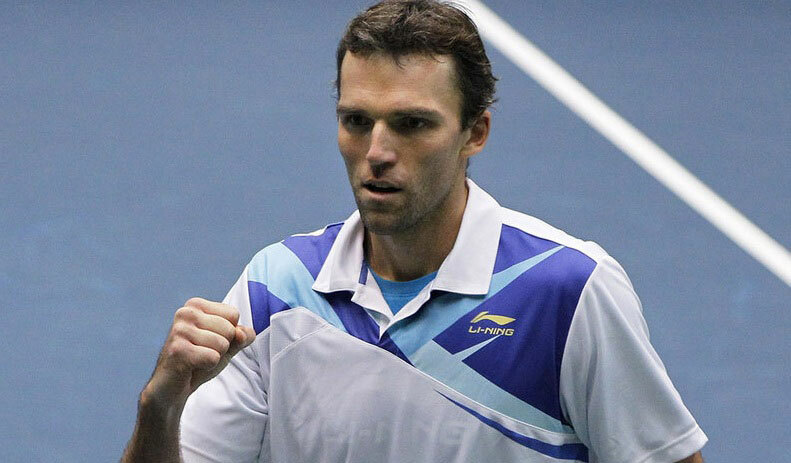 In what was built to be the match of the day Ivo Karlovic, (former World No. 14), took two tie-breaks to defeat the Czech 7-6(7), 7-6(4) in 1 hour and 47 minutes. Serve wasn’t lost by either player in the match but for the second encounter in a row Berdych was defeated through 2 tie breaks, who said he found it very difficult to find his rhythm against an opponent who serves so well and therefore was full of praise for Karlovic who improves on their head 2 head record and leads 4-2. The highly entertaining and expressive Frenchman Gael Monfils returned for what we all hope to be an injury free season, and he started as he means to go on in defeating Santiago Giraldo 7-6(1), 6-2 in 1 hour and 18 minutes. Twice a runner up here, the former World No. 7, fired down 9 aces and lost just five points behind his first serve on the way to victory. In the other Men’s 1st Round matches 8th seed Fernando Verdasco beat Volandri 6-3, 6-3 while there were also straight sets wins for Tobias Kamke, Lukas Kubot and Victor Hanescu. Tomorrow’s action will see the top seeds in action, Andy Murray plays his first competitive match since Great Britain’s Davis Cup triumph as he plays the home favourite wildcard Mousa Shanan Zayed. 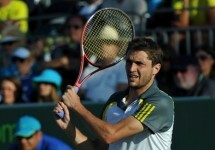 2nd seed David Ferrer plays Alexandr Dolgopolov of the Ukraine and Richard Gasquet is also in action. In the match of the day its a rematch and revenge mission for World No. 1 Rafael Nadal as he faces Lukas Rosol, the man who stunned him in a five set victory in the 2nd round of Wimbledon 2012, surely history wouldn’t repeat itself and see Day 2 bring another huge upset!..